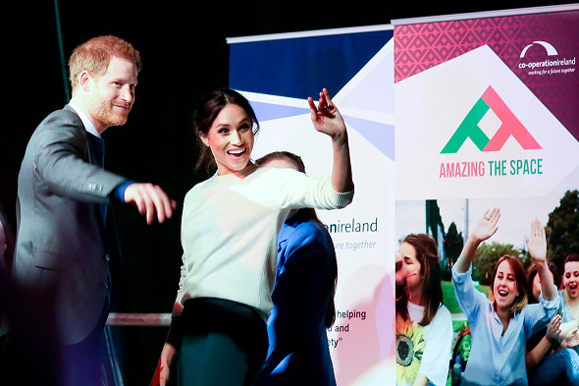 Prince Harry and his fiancée, Suits star Meghan Markle, made their first joint trip to Northern Ireland in March. The visit was a single day’s excursion, part of a full tour of the U.K. meant to introduce the incoming member of the royal family. Prince Harry has a special attachment to the program, having launched this year’s activities himself last autumn. The presentation was held at the Eikon Exhibition Centre, on the grounds of the famed Maze prison facility, where I.R.A. prisoners were held during the Troubles. Very nice. We love Meghan. So cool to have an American Royal.